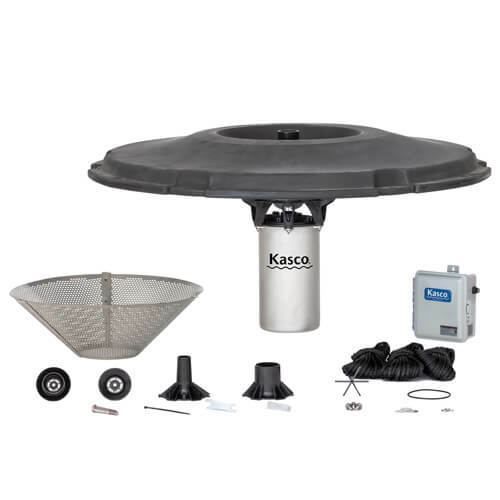 Kasco’s 4400JF decorative fountains are the perfect way to beautify any mid-size pond or lake. This versatile fountain comes with five (six patterns for 50Hz) interchangeable nozzle heads giving you the option to choose and change the spray pattern as you wish. Optional lighting packages are available to extend the visual impact of your fountain into the evening hours.